Published articles in editions of this magazine – and the findings regarding success factors for collaboration, included within the SSA Toolkits – have highlighted that there appears to be an ‘optimum number’ of partner organisations for initiating successful collaborative working. That number is a maximum of four. The more partners, that there are beyond four, then the complexity increases almost exponentially! From my perspective it would be helpful if such knowledge is more widely disseminated, speaking from the experience of seeking to take forward partnership and collaboration (and they are different as we know) across a wide range of partners. This has certainly been the case with the SEWIC Assistive Technology and Accommodation with Care project. SEWIC stands for South East Wales Improvement Collaborative, and the SEWIC Board is made up of the nine Directors of Social Services covering Blaenau Gwent, Cardiff, Caerphilly, Merthyr, Monmouthshire, Newport, Rhondda Cynon Taff, Torfaen and Vale of Glamorgan. 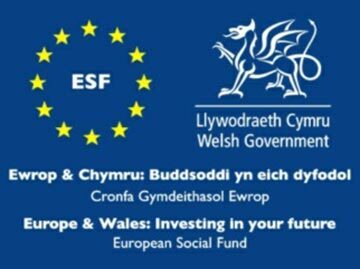 This ‘Making the Connections’ SEWIC project is part funded by the European Social Fund through the Welsh Government. A project proposal was prepared and submitted to the Welsh Government. The project was successful in gaining funding through the European Social Fund (ESF) and Welsh Local Government Association (WLGA) for a two year project on the two latter work streams of Assistive Technology and Extra Care Housing. By the time the proposals were accepted and grant allocation given, the number of partners had increased from nine to eleven. Making links with Local Health Boards added another three over time as well. Two members of staff were employed in July 2011, on secondment from local authorities in the SEWIC region, as respective project managers for Assistive Technology and Extra Care Housing. The project high level objectives had already been set and the project managers inherited these, with no clarity as to how they had been derived. For the Assistive Technology component of the project there was an expectation to undertake a cost benefit analysis and outline business case for merging of local authority call monitoring centres. Looking back what observations would we make? An external consultant had been employed by the SEWIC Board and had co-ordinated identification of collaboration areas. It was valuable to have a neutral outsider in this role and to be a link to the sponsoring Chief Executive Group. It was clear that there was a rationale for integration of monitoring centres – and previous work had been done on this, for example across five authorities. However several authorities had already moved to externalise their services through tender. In addition there were very different stakeholder perspectives – four authorities didn’t have a monitoring centre having chosen to outsource (with Housing Stock Transfer) or tender. The five existing centres were to an extent in competition, happy to expand and take on other local authority business, but not looking to merge. Only one of the five Directors of Social Services (SEWIC Board) had monitoring centres directly under their control and so internal cross departmental engagement was needed within authorities, adding extra burden to the decision making relationships. It was clear that such conversations had not taken place in all cases, and understandably those other departments (including Housing, Corporate Services, Customer Services, and ICT) had their own opinions as to possible mergers. The overall cost benefit analysis showed a regional saving opportunity of around £2.4 million but would mean job loss/redeployment in ‘losing’ authorities, as there were clear winners and losers in a single centre approach. As a result, the SEWIC Board were reluctant to take forward any decision. The project had also highlighted, that a wide range of departments with each partnering authorities had to be engaged in both decision making, and the levels of variation in costs and charges. As such there was frequent ‘refer back’ on reports and papers. Having a Lead Director from each partner was therefore very valuable in pressing for some level of decision. It was agreed that the information on the cost benefit analysis would be helpful for each authority to make its own decision, with a principle of individual self-determination taken forward. This led to two authorities taking forward individual tender arrangements to reduce costs with a change of provider – but as a result this moved their work out of the SEWIC region. Also, during the project, there was an SEWIC agreed re-focus from partnership working in service delivery to ‘softer’ collaboration. This included a cross authority Reference Group, sharing of practice, collective engagement with suppliers, development of case studies, raising service profile, development of a level of regional identity, and shared information/presentation to independent sector on assistive technology. 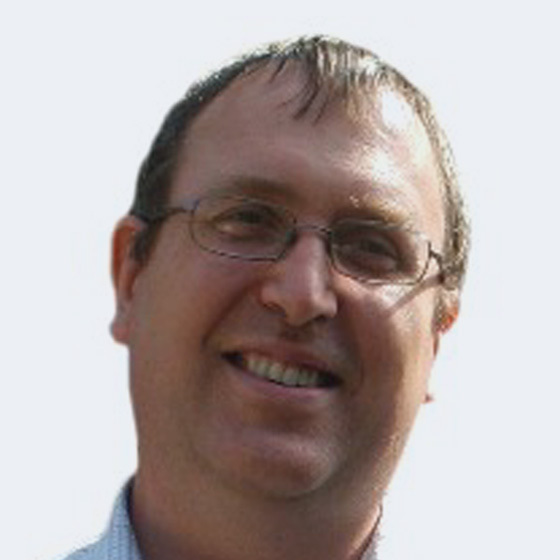 other regional collaboratives in Wales; and with Wales Government. In addition the project was extended – within the initial funding envelope – to run to December 2014. It aims to leave a legacy of ongoing linkage at a regional level as well as migration of collaborative approaches at a national level, with a Wales Government and SSIA supported All Wales Assistive Technology Learning Improvement Network (LIN). So what would we do differently next time? Start with a realistic number of partners – sharing objectives and outcomes and only add others as the new service becomes stable. Project leads need to be involved in setting the objectives – so they stay real. Getting full sign up is vital. We learned that partners only tend to become fully involved if they are putting in their own money. That was not the case in this project, where SEWIC had 100% external funding. Map out the interdependencies of departments within the partner organisations. Which departments need to be engaged at an early stage in the project too?